Associate Professor Peder Hjorth, phone: +46 (0)46 22 24871. Two South Asian PhD candidates at the Division of Water Resources, Arun Rana from India, and Aamir Ilyas from Pakistan – now both PhDs, along with Peder Hjorth. The Division of Water Resources Engineering is situated within the School of Civil Engineering at Lund University. It provides courses at the undergraduate level within the School of Civil Engineering program and the Environmental Engineering program, and it has its own doctoral program. The research at Water Resources Engineering covers a broad spectrum but is primarily concerned with fluid mechanics, urban hydrology, lake and coastal waters, rainfall and soil water processes. Research has also been carried out in solid waste management. Environmental Improvement in Low-Income Areas in Colombo, Sri Lanka. Hydrological Modelling and Forecasting in India. Lake water hydraulics and environmental effects. This research field constitutes an important area in India in order to develop and utilize potential water resources. Dr. Peder Hjorth has worked on South Asia related projects for decades. He presented his research on ”Knowledge Development and Management for Poverty Alleviation” at the Development studies research conference held at Lund University in January 2003. Read his abstract. Professor Magnus Larson (photo) has coordinated a project titled ”Morphodynamics of Coastal Inlets in Sri Lanka: Physical Properties and Governing Processes” that receved a research grant from Sida/SAREC in November 2005. 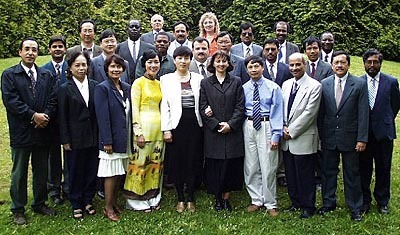 The research project was carried out during the years 2006-08. In November 2008, Prof. Larsson was given SEK 450 000 as a one-year grant extension from Sida/SAREC’s Developing Country Research Council for the project on ”Coastal inlets in Sri Lanka”. More information. In October 2010, Prof. Larsson was awarded a major grant from Sida/SAREC’s Developing Country Research Council, this time SEK 3.3 m for a research project over three years (2011-13). The project is entitled ”Long-term Coastal Evolution: Modeling and Managing Coastal Areas in Developing Countries with special regard to Climate Change”. More information. On Thursday 19 April 2012, Magnus Larsson held a SASNET Brown Bag Lunch seminar at Lunds konsthall. He will speak about ”Sri Lanka’s vanishing beaches”. In this seminar, Prof. Larson will present to a broad audience the different projects that his department does that focus on various problems in the coastal region of Sri Lanka. More information on the seminar poster. Aamir Ilyas came to the Division in 2008 as a scholarship holder through the Pakistani government’s Overseas Scholarship Scheme for Masters students and PhD candidates. This Pakistan Overseas Scholarship Scheme, as it is called, was created after a formal agreement on collaboration in research and research training between the governments of Pakistan and Sweden in 2004. It has been administered by the Swedish Institute (more information about the scholarship scheme). Aamir Ilyas defended his doctoral thesis entitled ”Unsaturated Phase Environmental Processes in MSWI Bottom Ash” on 18 February 2013. Faculty opponent was Dr. Lale Andreas, Luleå University of Technology, Luleå. Read article about his research. Aamir Ilyas has now moved to Trondheim in Norway, where he is working as a Postdoctoral Fellow at the Department of Hydraulic and Environmental Engineering, Norwegian University of Science and Technology (NTNU). More information. Mr. Ilyas came originally from the N.W.F.P Agricultural University in Peshawar. He is now working on a project dealing with sustainable reuse of incineration residues from waste to energy plants in Sweden. The research involves evaluating their long term stability in different recycling options i.e. landfill covers and roads through a combination of biochemical and toxicity tests. Finally he is working on developing non destructive tools for sensing moisture to estimate pollutant emissions from sites where these residues are used. Professor Ronny Berndtsson has been involved in a India and Nepal related project entitled ”Development of decision support system for integrated water resource management in River Kosi system lying in Nepal and India”. In December 2009, he received SEK 600 000 as a three year grant from the Swedish Research Links programme (funded by Sida and the Swedish Research Council) for this project, is carried out in collaboration with Dr. Vijay Kumar Dwivedi at the National Institute of Technology in Durgapur, West Bengal, India. See the full list of South Asia related projects given Swedish Research Links gants 2009. Abstract: Bihar is India’s most flood-prone Indian state, with 76 % (around 30 million) of the population, in the north Bihar living under the recurring threat of flood devastation. About 73 % of the total Bihar areas are flood affected. The plains of Bihar, adjoining Nepal, are drained by a number of rivers that have their catchments in the steep and geologically nascent Himalayas. Amongst different rivers, the Kosi River System creates havoc in Bihar, India, more or less every year by its water and sediment discharge, even though only 17% of catcment Area of Kosi River System falls in Bihar, India. More than 15,000 died and over 15 million people were affected by the devastating Kosi deluge after an embankment on river Kosi breached on August 18, 2008 near Kusaha in Nepal. The Prime Minister of India has described the Kosi flood of 2008 as a National Disaster. Though, the Kosi River system is dubbed the sorrow of Bihar because it brings havoc to Bihar every year in terms of flood the disaster on August 18, 2008 was due to other reasons than the excessive rainfall. Progressive weakening of the spurs and embankment was probably the main reason for the catastrophe. The dam breach was caused by poorly maintained dam protection. No one can claim to possess a ready made solution to the perennial Kosi problem. The Kosi river, which changed its course and washed away the homes and livelihoods of nearly 1.5 million people in Bihar, reinforces the need for effective integrated water management on a priority basis. This flood of 2008 in Kosi emphases need to develop models for understanding shifting of channels of Kosi River System. The current flood was caused by breaches that developed in the embankment near Kusaha, located upstream in Nepal. As per the bi-lateral agreement, India was to take care of the embankment lying in the territory of Nepal. Every year, the entire stretch is inspected and repaired by June. However, Bihar Government officials in India alleged that the breaches could not be repaired this year since Nepalis did not allow the labourers to work on the embankment and the Kosi finally damaged the spurs and caused a 2.8-km lethal breach on Aug 18. Therefore, the collaborative project envisages to develop modes or software to predict different characteristics of the Kosi River System and with the help of different modules for technical explanation, administrative strategy at local, regional, national and international level, a decision support system would be devised and implemented in field so that by knowing the situation to occur in real time at different node, decision can be taken at different level of nodes to mitigated the hazard at all nodes upstream of the nodes where the decision is being taken. Development of real time decision support system is expected to take a long time due to the fact that a substantial time series of data have to be generated and assimilated to on lime retrieval. 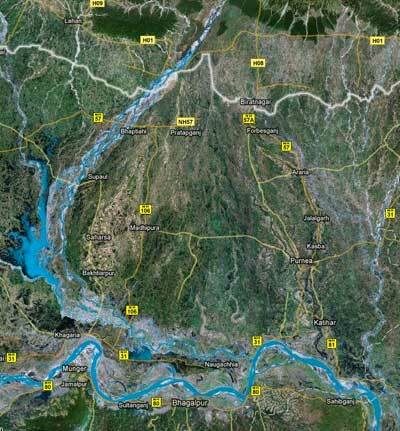 This collaborative project is being undertaken to start the process of data generation, mass education, training of technical, administrative staff, creating atmosphere for bi-lateral cooperation, development of models specific to Kosi River System and planning a node based network in the field to implement the developed decision support system. It is expected that the project started with funding from SIDA will pave way for Indian counter part to be sustainable in carrying out the routine activities to implement the decision support system. Hopefully, by the end of a decade the project would be able to show some tangible output. After the expiry of funding from SIDA, Indian counterpart is expected to continue the project on agreed schedule. The international collaboration would contribute in the sense that Swedish counterpart would be able to foresee the magnitude of the problem in Indian sub-continent and Indian counterpart would be able to gain latest development in the field of managing a river system and how the revolution of IT can be utilised to take and convey decision to thwart real time danger due to fury of the water resources. In 2010-11, two students, Alexander Aronsson and Maria Piculell, made their master thesis projects (exjobb) in India, within the framework of this project. Their thesis is entitled ”Kosi River – Flood Evaluation”. Arun Rana, coming from the TERI University in Delhi, was selected by the EMECW lot 15 consortium to stay as a PhD candidate at the Dept. of Water Resources Engineering, Lund University, for a period of four years (from August 2009). His research interests are Urban drainage systems (with respect to stormwater analysis and reuse), Wastewater reuse and treatment, and Design of Urban drainage systems in a sustainable manner. 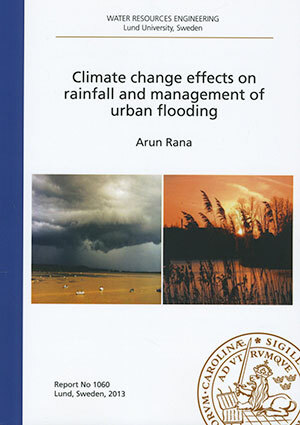 He defended his dissertation ”Climate Change Effects on Rainfall and Management of Urban Flooding” on the 27 September 2013. Faculty opponent is Prof. Karsten Arnbjerg-Nielsen, Department of Environmental Engineering, Technical University of Denmark. 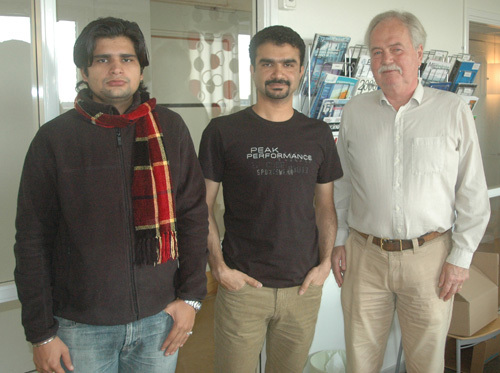 Mr. Rana has been supervised by Prof. Lars Bengtsson, Prof. Arun Kansal and Prof. Ronny Berndtsson at the Division. Abstract: The thesis presents how the effects of climate change and high-intensive rainfall on the urban drainage system and management of flooding in urban areas of were studied in Mumbai, India and Southern Sweden, including Skåne and Gothenburg. Various analytical systems were applied, and the analysis revealed a high degree of variability in rainfall over Mumbai. A significant decreasing trend for long-term southwest monsoon rainfall was found. Also, a decrease in average maximum daily rainfall was indicated. The southwest monsoon rainfall over Mumbai was found to be inversely related to the Indian Ocean dipole, the El Ninõ-Southern Oscillation, and the East Atlantic Pattern. In Southern Sweden, however, annual precipitation has increased significantly due to increasing winter precipitation. Link to more information. Dr. Arun Rana is now working as a post-doc at the Research Associate at the Dept. of Environmental Services at Portland State University, Oregon, USA. The Division of Water Resources Engineering has also been instrumental in the establishment of research programs at the National Institute of Hydrology (NIH) in Roorkee, India. In the Academic year 2001/2002 Dr. Pratap Singh from NIH was a guest lecturer at the department. He held seminars on “Glaciers in the Himalayas”, and “Hydrological sensitivity of a large Himalayan basin to the climate change”. He was also supervisor to students who carried out a Minor Field Studies project regarding ”Water Resources Availability, Demand and Sustainable Management in Dehra Dun, India”. Dr Pratap Singh is still connected with the department. The department has cooperated with the Center for Environmental and Geographic Information Services (CEGIS) in Dhaka. The aim of the cooperation is to develop a research programme on wetland management in the Dhaka region. 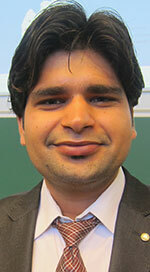 Contact person at CEGIS is Sultan Ahmed, Program Manager Liaison, CEGIS. Dr. Monirul Mirza, originally from Bangladesh but currently working within the Adaptation Impact and Research Group at the Instute for Environmental Studies, University of Toronto, Canada, visited the department in Lund from the end of August 2005. He gave a 5 credits doctoral course on ”Natural Hazards and Natural Disasters”, dealing with risks to society from natural hazards and disasters, and how society adapts to those risks. The department has given annual two-month courses on Integrated Water Resources Management in Developing Countries for may years. About 25 students from Asia, Africa and South-America usually participate. Together with Swedish Meteorological and Hydrological Institute, SMHI, Norrköping, the department has also been involved in courses on hydrological modeling. (Photo from the 1999 course). Information about the International Training Programmes. Since some years, the division is involved in a training programme on ”Sustainable Urban Water and Sanitation – Integrated Processes” funded by the Swedish International Development Cooperation Agency, Sida. The overall objective of the programme is to provide the participants with understanding and knowledge about the need for integrated approaches and the organisational and institutional changes that are necessary for a sustainable provision of water supply and sanitation services in urban areas. From left to right: Sepali Wickrematilake, Mathew Luckose, Veena Iyer and Lars Eklund. From South Asia, professionals in the field from Bangladesh, India and Sri Lanka are welcome to apply for this programme. The programme is managed by staff from the Division of Water Resources Engineering. Only some part of the programme is actually carried out in Sweden. For the 2011/12 programme a few weeks during the fall are spent at Lund University. A regional seminar will be held in Sri Lanka during the Spring 2012. More information about the 2011/12 programme. 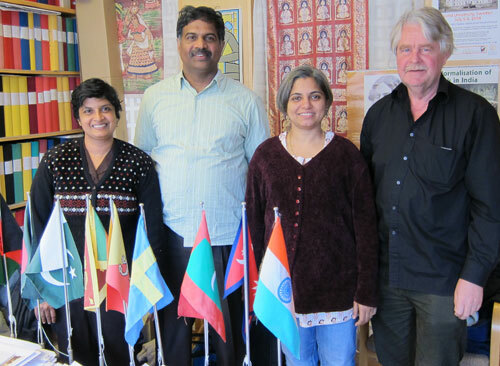 On 5 December 2011, a few of the 2011/12 programme participants from India and Sri Lanka visited SASNET’s root node office while being in Lund. They were Mathew Luckose, Regional Manager for the international WaterAid organisation in Bhopal, India; Assistant Professor Veena Iyer from the Indian Institute of Public Health in Gandhinagar, India; and Dr. Sepali Wickrematilake, Consultant Community Physician, Regional Director’s Health Service Office, Kegalle, Sri Lanka. They met SASNET’s deputy director Lars Eklund and discussed their respective work on water issues in India and Sri Lanka. It turned out that Dr. Iyer has several contacts with researchers at Karolinska Institutet in Stockholm, such as Vishal Diwan and Ayesha d’Costa at the Division of Global health (IHCAR). For many years the department has been engaged in an International research project on ”Physical Limnology (Thermal regime of lakes; Ice covered lakes; Mixer induced circulation; Remote sensing; Paleolimnology)”, involving several universities in Europe and Asia. In India co-operation is carried out with with the National Institute of Hydrology, Roorkee (represented by Prof. Ramasastri, M. Sc. R. Mehrotra, M.Sc. Vijay Kumar and M.Sc. Pradeep Kumar).